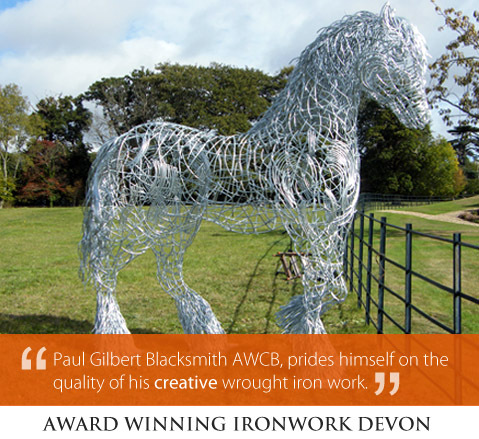 As an experienced Surrey blacksmith and wrought iron specialist, Paul Gilbert Blacksmith AWCB prides himself on the quality of his creative iron work. Providing a range of designs Paul Gilbert Blacksmith produces wrought iron gates, graden furniture, railings, weather vanes and decorative items that are suitable for both inside and outside of your home. Paul Gilbert can provide bespoke commission work and offers written quotation on request for jobs large or small.